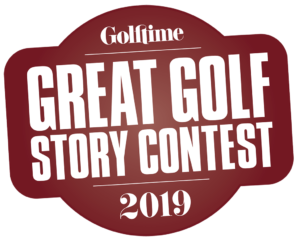 BAY HARBOR, Michigan — It was on the fifth hole on the Quarry Nine, the most celebrated of the three sets at the stunning Bay Harbor Golf Club, when the twosome ahead offered to let me play through. But on this perfectly sunny summer Sunday afternoon, with no place to go and no place I’d rather be, I opted instead for a little friendly conversation with the two very well-heeled players in the cart next to me. 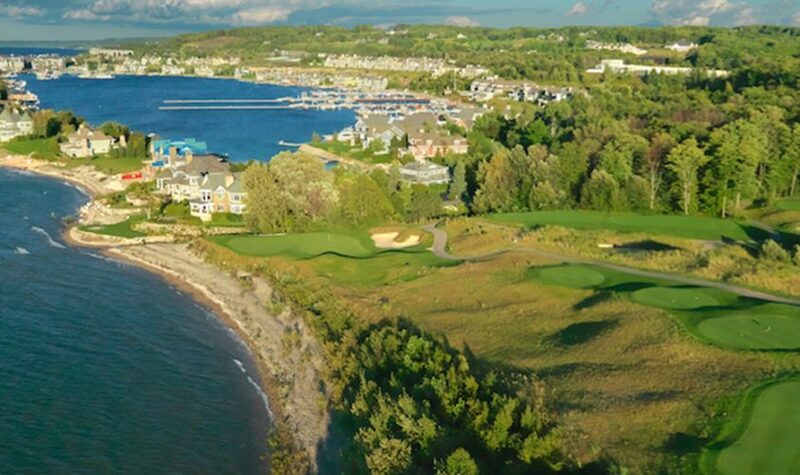 They were members of the club, and residents of the luxurious Bay Harbor development, a gleaming Pleasantville on the shores and cliffs above Lake Michigan’s Little Traverse Bay, a sliver of paradise near the vacation hotspots of Petoskey and Harbor Springs. The Haig, who roamed these Northern Michigan shores and even lived out his final days in nearby Traverse City, was one of golf ’s first playboys and lived as large as he played. It’s safe to say the Haig would’ve loved Bay Harbor. You see, Bay Harbor Golf Club and the Inn at Bay Harbor, two of the shiniest jewels in the Boyne Resorts crown, have a way of making anyone feel like a million bucks. Owned by Boyne Resorts, The Inn at Bay Harbor is situated on the shore of Lake Michigan’s Little Traverse Bay. The Inn offers 123 guest rooms, including one-, two- and three-bedroom suites, as well as dining, spa and beach amenities. It also underwent a $2 million renovation recently, as it joined Marriott’s exclusive Autograph Collection Hotels brand, one of just 100 in the world. It doesn’t take long to see why. Nestled among Bay Harbor’s multi-million-dollar homes and elegant shopping district, just outside the town of Petoskey, the Inn at Bay Harbor rises above the shore like a postcard come to life, a red-roofed, white-wooden throwback to a time of carriages and classical hotels. But unlike its counterparts, The Inn seamlessly blends the classical with the contemporary, comfort with modern convenience. From the moment you enter the French doors of the front entrance, greeted by the Inn’s personable, knowledgeable concierge staff, the upgrades are readily apparent. The lobby gleams with fresh marble floors, above which hangs a spectacular, German-made Schonbek chandelier, featuring more than 34,000 gem-cut crystals and nearly 200 lights. But Bay Harbor’s opulence isn’t without elegance, and the Inn’s warm ambiance shines from the start. Just off the lobby, the Inn offers intimate alcoves perfect for cocktails or conversation. The Inn’s upgrades also included the first phase of room renovations, with more expected this year, and helped usher in a new level of excellence at the resort. Bay Harbor became just the fifth Autograph Collection hotel in the Midwest last year, joining the Hotel Chicago, The Henry in Dearborn, Michigan, and two in Ohio. Launched in 2010, Marriott’s Autograph Collection Hotels is made up of independently exquisite resorts around the globe, from Dubai to Dearborn and plenty in between. But here, sitting in an Adirondack on my walkout porch, overlooking the perfectly manicured lawn right up to the water’s edge, transfixed by the bay’s lapping waves, there isn’t anywhere in the world I’d rather be. If I’m feeling especially motivated later I may traverse across the lawn to lounge in one of the Inn’s hammocks situated shoreside, but the breeze off the bay feels just fine from here. 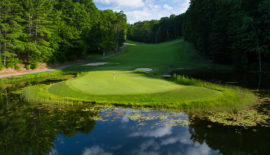 I’d planned on a long weekend packed to the gills with golf, as the Inn is adjacent to the Top 100-ranked Bay Harbor Golf Club, stellar Crooked Tree Golf Club, and close to Boyne Highlands’ four excellent offerings. But then I flung open the door to my master suite at the Inn — one of the recently renovated rooms there — and suddenly going anywhere else voluntarily seemed positively preposterous. With a kitchenette, fireplace, living room and bedroom, patio overlooking the bay, and finely appointed furnishings straight from House Beautiful, it’s clear the Inn at Bay Harbor deeply deserves its perch among the world’s very best. So, instead of birdies, I opted for cool lake breezes, and eventually motivated myself enough for a brief dip in the pool. Dinner soon beckoned, and reservations at the Inn’s new Vintage Chophouse wouldn’t wait. Like the rest of the resort, Vintage offers intimate excellence, with a traditional American steakhouse-style menu fit for virtually every palate. My farm-raised chicken dish was delectable and locally sourced, just like much of the farm-to-table inspired menu. Vintage is one of three dining options on premises, along with the sumptuous Sagamore Room for breakfast by the bay, and the Inn Café for casual in-between fare. There’s also a Cabana Bar by the pool, of course, and an Afternoon Tea for those looking for a simpler take on the traditional British respite, giving you a chance to mix and mingle with your fellow hotel guests. And for the ultimate in mind/body rejuvenation, the Inn is also home to a soul-soothing Spa, named one of America’s 100 best by Conde Nast Traveler. From couples’ Swedish massage, to facials, manis, pedis and seasonal offerings, the Inn’s spa is the place to restore your spirit. Of course, the resort itself does a fine job of that on its own. With a multi-million renovation and a lofty new accolade, it’s safe to say The Inn has been renewed and rewarded all at once. We certainly know the feeling. 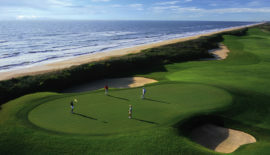 For more information about the Inn at Bay Harbor, visit www.innatbayharbor.com. 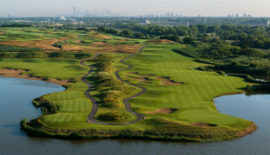 Entering its 21st season, Bay Harbor is hot off being named one of the Top 100 Courses You Can Play by GOLF Magazine. 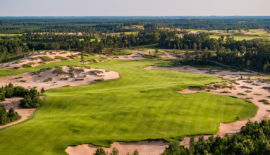 The Preserve nine is quintessential Northern Michigan golf, while the Links nine skirts the bluff high above Little Traverse Bay, and the acclaimed Quarry nine runs down and around the old limestone quarry where much of Bay Harbor now sits. Stunning. Perched high on the hill overlooking the town of Bay Harbor, Crooked Tree Golf Club underwent a major renovation in 2014 by Arthur Hills. The result is a fantastic finishing stretch that’ll leave you hungry for more. Nearby Harbor Springs offers four terrific tracks to choose from, and from some well-known names. Can’t get enough Art? You’ve come to the right place! The Hills Course is one of the esteemed architect’s very best, and capitalizes on some truly impressive terrain. The Heather is one of Northern Michigan’s most under- rated gems, The Heather was designed in 1966 as the first Boyne course, and has stood the test of time with truly classic design. The Ross Memorial is a tribute to one of golf’s greatest architects, and here you’ll find 18 of his best designs together in one dynamic course. As an added bonus, you can also get around on a GolfBoard on the Ross (see Golf Tech Talk, page 112). The Moor was the second course built at Boyne, in 1974, and plays host to several Northern Michigan tourna- ments. Considered by some the most challenging of Boyne’s courses. One of Northern Michigan’s hidden gems, Little Traverse Bay Golf Club is a 5-iron from Boyne Highlands and sits at the highest point in Emmet County. That elevation is on full display throughout the course, with a 200-foot drop on the opening hole alone.